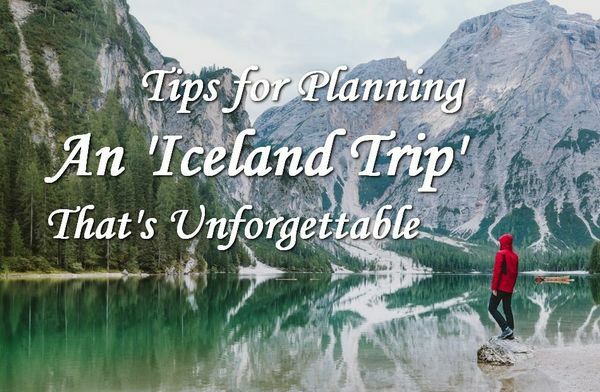 So you’re planning a trip to Iceland, a country that’s more green than ice. What should you see and do? 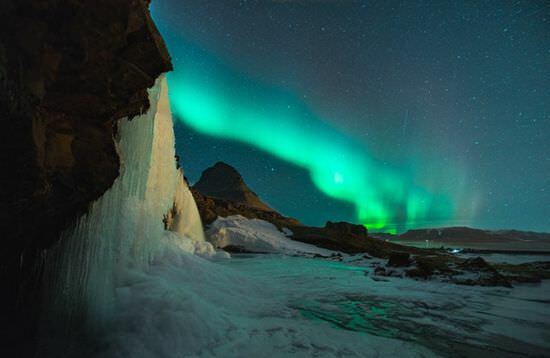 Iceland has so much to offer that it all can’t be seen within a single trip. No matter what you do, you can make your trip one to remember. Here are some tips you should keep in mind when planning your trip to Iceland. Since Icelandic weather can be unpredictable, it’s best to hire car rental Iceland for your journey. When you rent a car, you have the freedom to enjoy the country roads and take the wild weather into your own hands. You won’t find yourself trapped in a rainstorm like you would if you were traveling on foot. You might expect that some of Iceland’s attractions are better seen in the day, but that’s not necessarily the case. They’re more crowded during the day, especially during the peak travel season. If you’re visiting Iceland in the summer, you should enjoy the midnight sun in which daylight lasts 24 hours. Take advantage of those long days by traveling at night. This is a great way to avoid the crowds and enjoy an intimate view of all that Iceland has to offer. While the villages and towns are asleep, you get to ride around and enjoy the beauties of nature. There are midnight sun tours, horseback riding tours, and midnight sun mountain biking tours if you’re afraid to do it on your own. The ultimate Iceland experience is to mingle with the locals and purchase the food from the native land. When you drive around Iceland, you’ll notice that this country offers a wide variety of restaurants and fast food chains. A better alternative to grabbing food at these eateries is to buy locally-produced products from the farmers who made them. Several Icelandic farmers offer local goods, such as fresh fish, organic fruit and vegetables, and grass-fed meat and dairy. Some farmers even have huts where you can help yourself to fresh fruits and vegetables for a small price. The next thing you should do with the food you purchased from the farm is to cook it yourself. While Iceland has its share of fine restaurants, one of the most economical ways to enjoy this country is buying your own food and cooking it yourself. Make use of the kitchens found in every hotel, hostel, guesthouse, and campsite across the native land. Your grocery bill will be the cost of a single meal in Iceland. Use fresh ingredients and natural foods, such as lamb, fish, and dairy. Don’t forget to add some spices and herbs to each of your meals to balance out the taste. If you’re visiting Iceland in the summertime, you should definitely take advantage of the campsites this country has to offer. There’s no better way to experience Iceland than to get up close with nature and enjoy the midnight sun. Most Icelandic villages and towns have their own campsites, but you can always find a secluded area to pitch your tent. Be aware of where you intend to camp though. Camping at three of Iceland’s national parks is completely forbidden. You also shouldn’t camp close to farms without permission. Camping in the wilds of Iceland is not legal if you’re traveling in a collapsible camper, campervan, or tent trailer. Remember to plan accordingly if you intend on camping in Iceland. Spending a night at a farmhouse is a desirable alternative to camping. It’s a great way for you to get a feel for the Icelandic culture. Several farmhouses offer bed and breakfast lodging to travelers. You can choose from a private hut to a cottage. The great thing about staying at a farm is that fresh, locally-sourced food is always available. Many farmers provide guided walking tours, horseback riding tours, and other activities. You may even get to interact with some of the animals on the farm. Remember to book your vacation in advance, especially if you want the best accommodations. Each town in Iceland has its own unique characteristics, so it’s hard to choose just one to visit. Most of the townsfolk have stayed true to their Icelandic heritage. Festivals are held throughout the year in small Icelandic villages and towns. Each of the festivals focus on the historical and environmental aspects from which they derived and often have local food, music, dance, and drinks. If you’re open-minded and want to explore a new culture, you should choose a festival that fits your schedule. Nice, I am planning on visiting Iceland with my girlfriend. Great article on things to do in Iceland. If you are visiting with your girlfriend, you should definitely check out the Blue Lagoon and Golden Circle!